Nothing brings the family together better than a roaring fire. 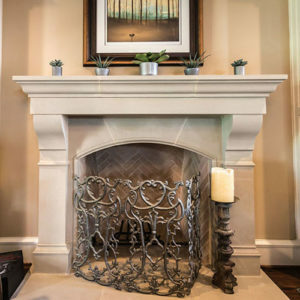 Our quality Birmingham cast stone fireplace mantel surround is perfect for creating the kind of environment that only a large, traditional fireplace can. Its simple classic style adapts to any d̩cor while emitting a regal feel. An affordable way to warm both home and heart. Note: Holiday decorations not included but highly encouraged. 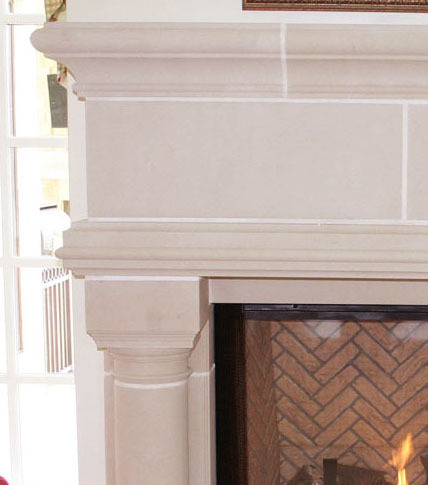 Attached are photographs of our fireplace. We also ordered a kitchen hood from you. Both are absolutely stunning and are the highlight of our home. The precision of the stones was way beyond our expectations. You have a great product and are very user friendly. You get our highest recommendation!